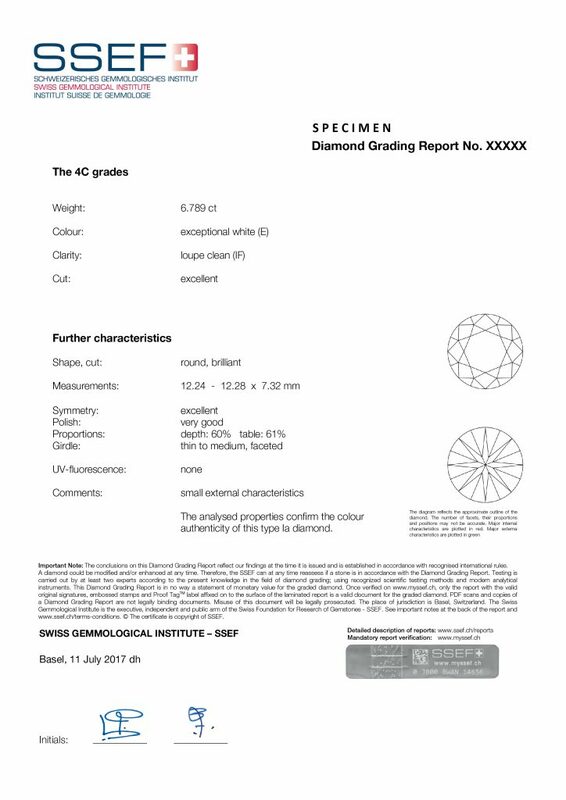 Colourless to near colourless loose diamonds of natural origin are usually submitted to SSEF for a 4C (Carat, Colour, Clarity, Cut) quality grading. This quality determination follows the CIBJO rules, edited in the Diamond book. 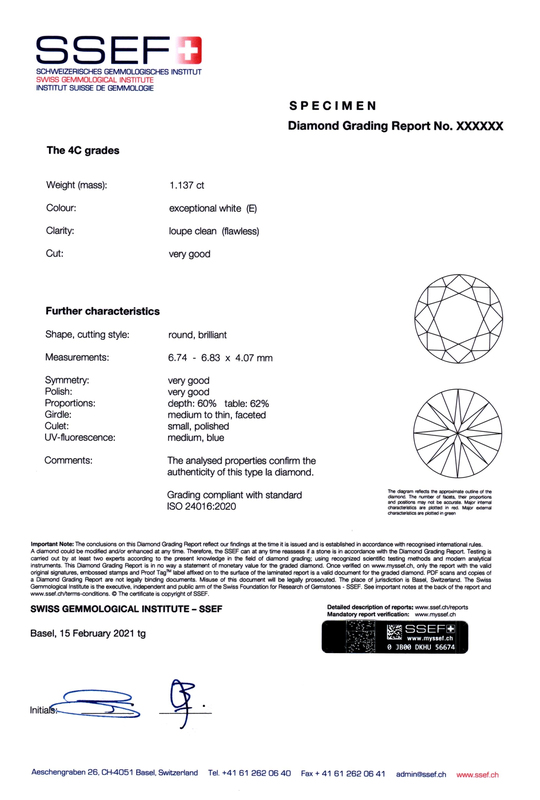 The SSEF report number is the number given to the diamond when it is submitted for testing, and is a unique number. If an item is resubmitted later for a ‚recheck‘ after re-cutting or for a report update then the item obtains a new report number. All weights are reported in carats (1 ct = 0.2 grams) with a precision to the third digit after the decimal point. The cut grade of a colourless diamond is offered by SSEF only for standard round brilliant cut colourless diamonds. a) Internal graining is considered as an internal growth characteristic, thus is not taken into account to downgrade a diamond from loupe clean to a lower grade but mentioned under comments. b) Extra facets and naturals are the main external characteristics. If such characteristics are present in the stone, they are mentioned under comments and indicated on the diamond plot (in green). c) Laser drilled diamonds are graded, but the laser drilling is mentioned under comments. All red marks plotted on the diagram characterise internal features. 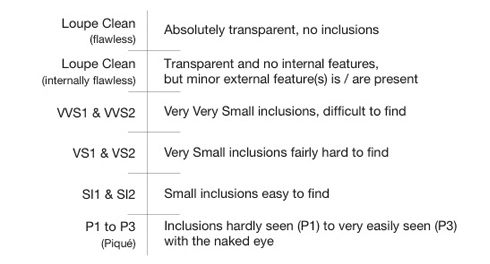 All green marks plotted on the diagram characterise external features (mainly extra facets and naturals). According to CIBJO rules, diamonds with fissure treatments (Koss, Yehuda etc.) are not graded. 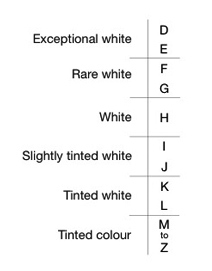 Diamonds which have been treated to enhance their colour (e.g. high-pressure high-temperature treated diamonds) are disclosed as Treated Diamonds.